They reckon Kidsgrove is full of ghosts. Never mind the canal boggart Kit Crewbucket, just listen to the good burghers and you’ll realise what an assembly of apparitions this place is. Beverley glances involuntarily over her shoulder. 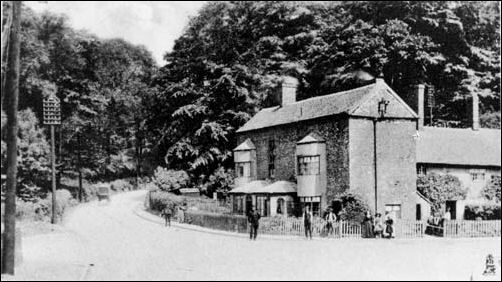 The Harecastle was built during a time when Kidsgrove was an important junction across the waist of industrial England. “Kidsgrove is a relatively new civic township,” says resident and former town librarian Philip Leese. “It came under the legislative district that included Brieryhurst, Ranscliffe and Oldcott; the council wasn’t introduced until 1894. Kidsgrove lies at the bottom of the hill carrying the old road from the Potteries into South Cheshire. The name turnpike is said to originate from the military guarding of roads. Soldiers would place their pikestaffs across the entrance to control admission. A bit like a border guard the pikes were turned to one side to let legitimate travellers pass. Creating a network of well-maintained roads was one of the major achievements of 18th century England. The system was not central but resulted from local enterprise and regulated by local trustees through Acts of Parliament. Using toll charges a trust was enabled to repair and maintain a particular 20 mile stretch of turnpike road. “By 1845 rail-mania had taken the country by storm into which the North Staffs Railway Company arrived,” continues Steve. “To connect the Potteries with the main London-Birmingham-Manchester line the Loopline railway was completed with the extension from Hanley to Kidsgrove opening in 1875. The Loopline turned a tiresome journey from Kidsgrove to Hanley by road into twenty-minute relaxation". The building pictured here on the right was believed to have been a Coaching Inn. Coaches would have driven past the Inn probably on their way to Manchester and Liverpool. The building stood at this junction for hundreds of years until it was demolished in the 1960s for road improvements. Geographically the three major routes came together at Kidsgrove. A view of road, rail and canal standing side-by-side, is best seen from the Harecastle Hotel which licensee, 46 year old Beverley, has kept for 8 years. The lunchtime trade is fairly quiet but it’s comfortable nevertheless to sit and chat for with 71 year old pals Malcolm Cliff and Fred Blaize. Fred was born and brought up in Kidsgrove. He’s seen a few changes. The Harecastle Hotel is a fantastic hotchpotch of Victorian understatement. By their standards it simply served the basic purpose of commercial accommodation. From our standpoint it is a wonderful window to the past. Nothing has changed in a hundred years from the rambling vaulted cellars leading to a dark winding staircase which hints of gas-lit confines. Indeed the old gas lights are still in place in the attic rooms. “This is the room which the ghost of the old woman haunts,” says Beverley. And among the discarded household debris of yesteryear shadows hint at something concealed. It’s time to go back to the bar. It seems the town is full of spirits from headless dogs to hooded friars. But this is a B&B that serves spirits, I silently counter with a smile.